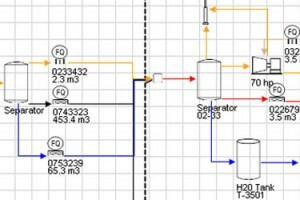 SchematicPro provides both Excel and Visio-like schematic views, allowing the users to choose the most effective method to capture and view the metering schematic data. The easy-to-use graphical interface allows users to create schematics quickly by dragging-and-dropping objects onto the viewport. 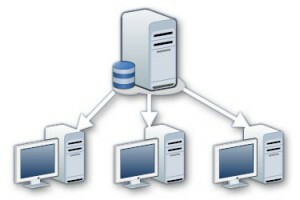 Based on a secure and scalable Client / Server architecture, SchematicPro enables scalability from standalones to enterprise operations.Collaboration between Production Accounting, Operations, and Engineering is made simplier with multiple clients viewing and working through a centralized database. For companies that do not have the resources or the infrastructure to implement SchematicPro, Bentek Systems can assist in setting up and configuring SchematicPro. Bentek Systems provides both basic and advanced training on the usage of SchematicPro. Consultation service provided by Bentek Systems help customers find the most efficient and robust method of integrating SchematicPro. Bentek Systems provides maintenance for SchematicPro servers, or assist in adding or modifying existing schematics. Bentek Systems gathers, reviews, and analyzes schematics to help summarize existing architecture of the system, document and identify problematic areas.